We are your reliable lawn care service ready to take care of your Grapevine business or home lawn? We provide lawn maintenance services in Grapevine and surrounding cities to keep your property looking spectacular. Our expert lawn care specialists will work with you to make sure your lawn is being cared for to the highest standards. We provide everything from lawn mowing to fertilization and basic weed control. If you need trustworthy lawn care professionals, please give us a call today! We offer other services which you can find on our Lawn Service page. We always work and do our best to accommodate your lawn care needs and welcome special requests from our clients. If you’re in the Grapevine area, then we’d love the opportunity to care for your lawn! Why Choose Leprechaun Lawn Care For Your Landscaping Maintenance Service? We offer our clients a wide variety of professional yard and property maintenance services at fair prices. 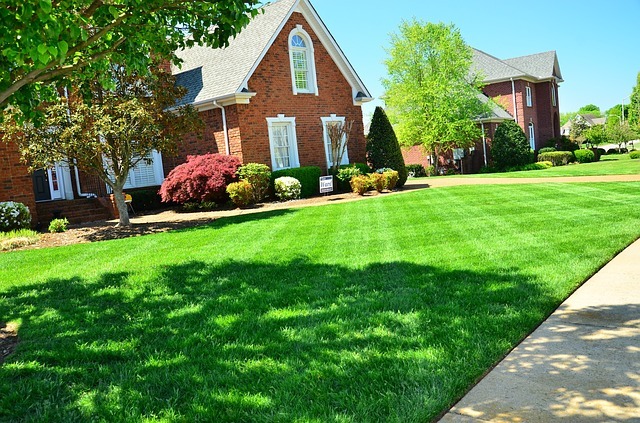 Our lawn care specialists are experts and will care for your lawn as if it were their own. We value each and every customer, and we will make sure you’re totally satisfied with the service you receive. No matter if you hire us for a one-time job, or if you contract with us for regular maintenance, we will make sure your property looks immaculate every time we provide service. We look forward to working with you and maintaining your property. Give us a call today.